At first I found the experience of running a Japanese eAuction quite unusual. 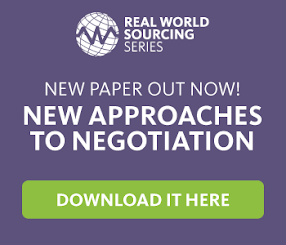 Without a feedback process, why would suppliers give us their best offer? However, as I have come to be more familiar with the way commodities in the GFR space operate, it has become clear that this is not a problem. Typically the retailers which carry out eAuctions are large companies, with strong purchasing expertise in their particular categories. As such, they have confidence in their market position. By contrast suppliers can be more parochial. In a situation where a supplier may not know how competitive their own offering is, it can be better to price them in a closed environment, rather than expose them to the open competition of an English eAuction.